Mazda CX-5 Interior, Sat Nav, Dashboard | What Car? 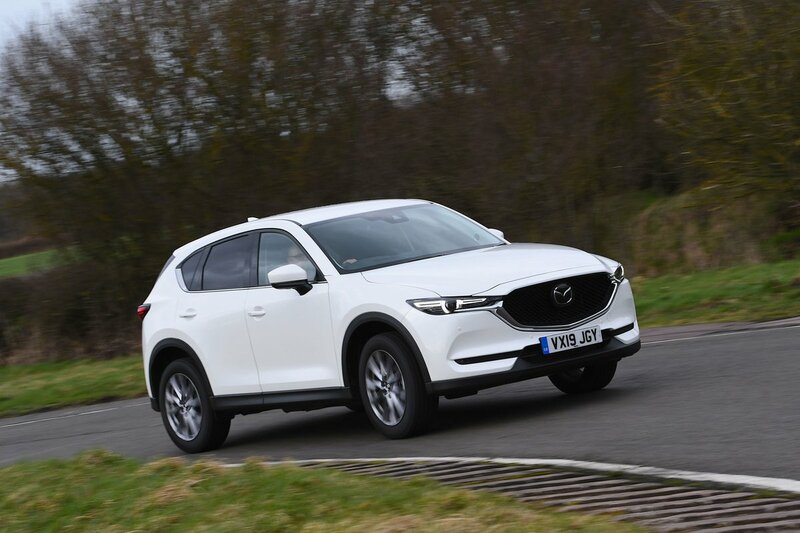 The CX-5 has the typical lofty driving position that most SUV fans will appreciate; you feel further from the ground than you do in smaller family SUVs such as the Ateca and Peugeot 3008. The driver's seat is both comfortable and supportive, and all models come with adjustable lumbar support to prevent you from slouching on long journeys. In addition, the CX-5's pedals line up neatly with the driver's seat, so you never end up sitting twisted to the left or right. Finding the ideal driving position is easiest on range-topping Sport Nav+ and GT Sport Nav+ models, which have fully electrically adjustable seats as standard. The CX-5's slim front window pillars help you see clearly when approaching junctions, while your view sideways is also good, thanks to the relatively large windows. A sizeable rear screen means the view directly backwards isn’t too bad, either, and all CX-5s come with front and rear parking sensors. Go for Sport Nav+ and you'll get a reversing camera, while range-topping GT Sport Nav+ trim models come with a 360deg camera, which displays a bird's eye view of the car on the infotainment screen. The CX-5’s infotainment system is relatively easy to get your head around. 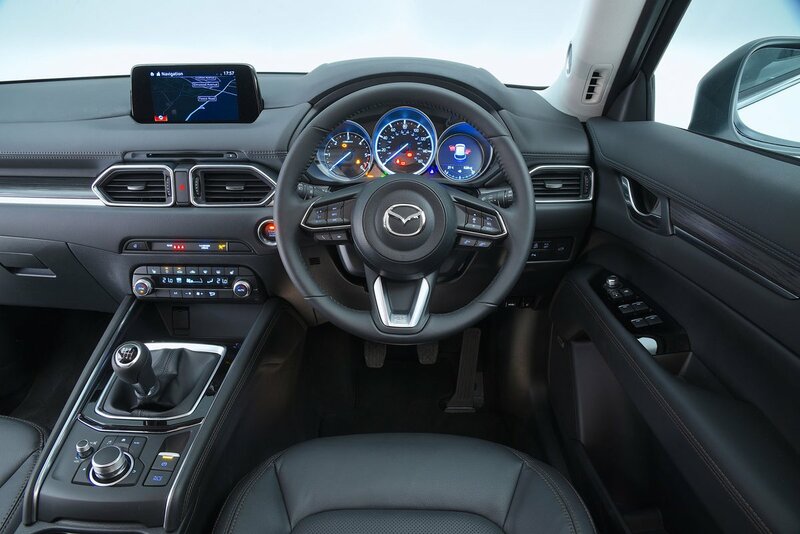 You can use it as a touchscreen when parked up, but that feature switches off when you're on the move – Mazda considers it too distracting, and it's a hard to disagree. Fortunately, there's also rotary dial controller, mounted just behind the gearlever, that you can use while driving: you simply twist the dial to scroll through menus and press down to make a selection. Regardless, the display is crisp and easy to read and sat-nav, Apple CarPlay and Android Auto are standard on all trim levels. Adding to the system’s ease of use is the fact that the USB ports are positioned just in front of the gearlever, above a tray that can hold your phone. A punchy 10-speaker Bose sound system is standard on Sport Nav + and GT Sport Nav + trims. 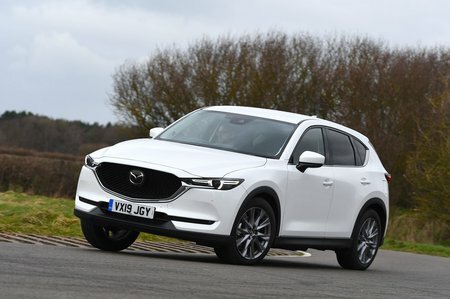 Interior quality was one of the previous CX-5’s biggest flaws, and this is the area Mazda worked hardest on for the latest model. It shows, too; the new CX-5 is much classier inside than the low-rent Kuga, for example, if not quite as well screwed together as the Kodiaq. Most surfaces are soft to the touch, and those that aren’t tend to be hidden low down. There’s an eclectic mix of materials that work together to enhance the ambience, including leather highlights around base of the dashboard and, depending on which trim you opt for, attractive dashboard inserts.